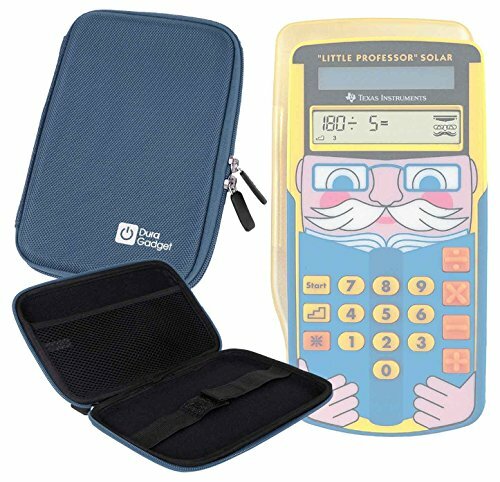 Introducing DURAGADGET's premium quality, hard shell case for your brand new calculator, finished in a textured, matte blue! Crafted from tough and durable EVA, the hard exterior of this case offers intense shock and impact resistance - ideal for protecting your valuable device whilst on the move. The interior of the case features a netted compartment for storing your corresponding accessories - USB cables, chargers. A thick elastic strap secures your device into place and the anti-scratch, anti-mark interior ensures you maintain the glossy finish of your screen.